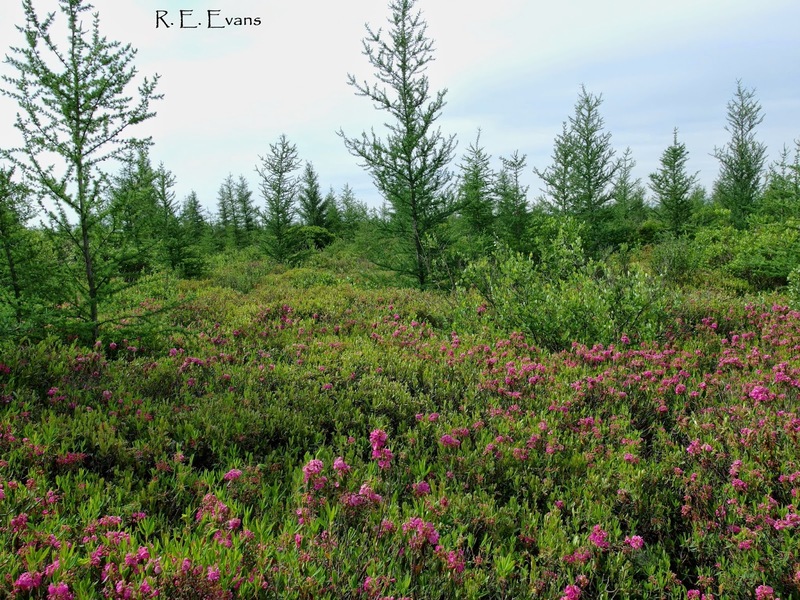 I recently had the chance to visit eastern Michigan and see an excellent example of northern peat bog, just a few miles from the shores of Lake Huron. 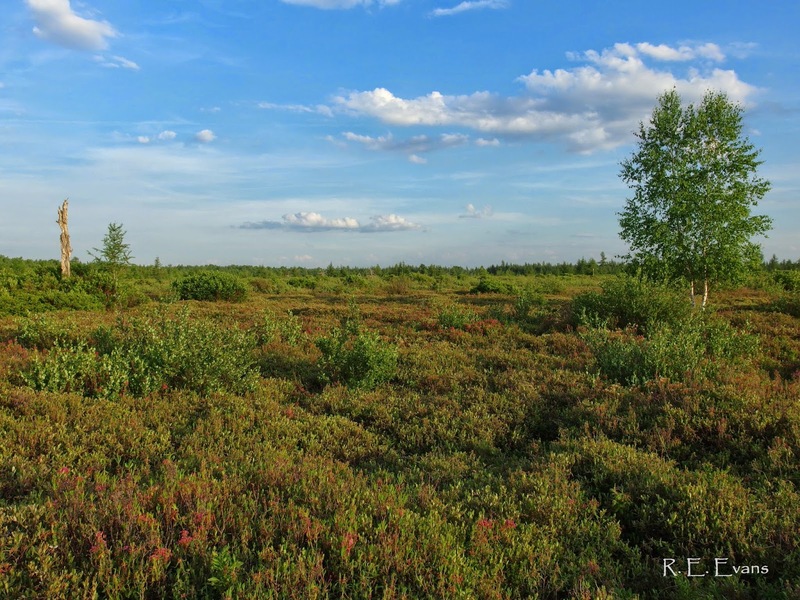 Also called an "Ombotrophic peatland" or "raised bog" this site in Sanilac county is apparently one of the most southerly examples of this community type. 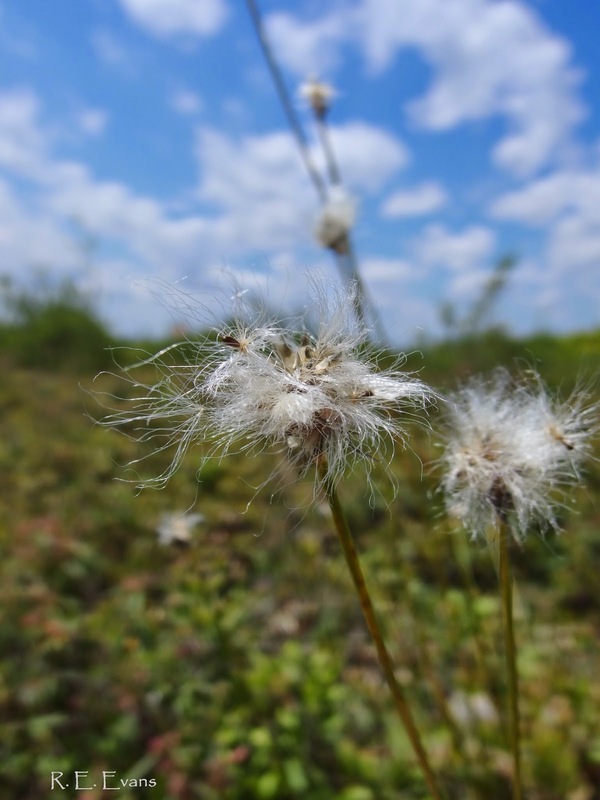 Most of the vegetation was low growing, dense, clumpy shrubs not more than 2' in height. An occasional tree sapling emerged over the tussocks. Standing no more than 3-4 ' tall were stems of Bog Birch (Betula pumila). 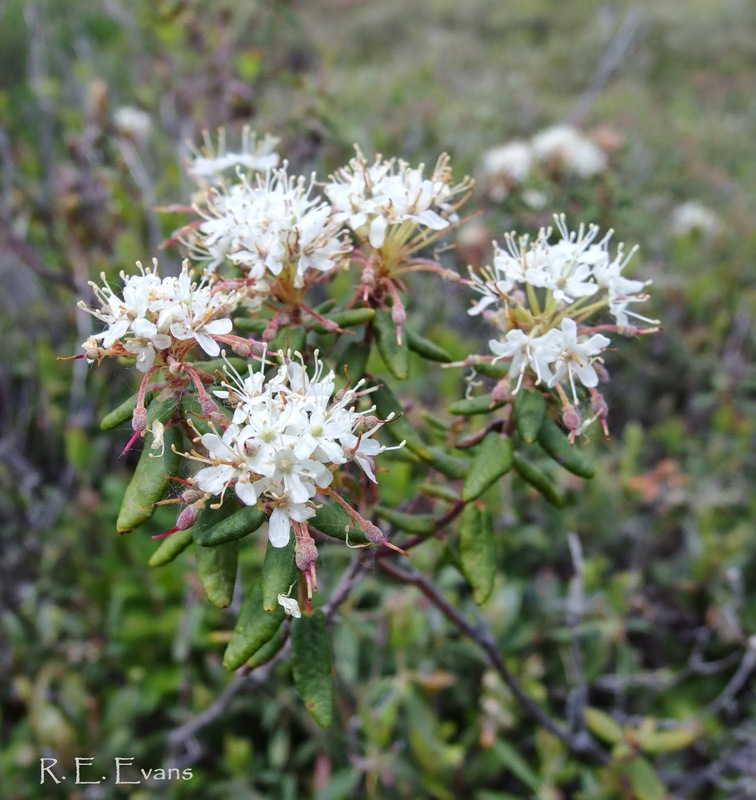 It is a naturally diminutive species, unlike its relative Paper Birch (of which one or two individuals were found growing in the bog as well). 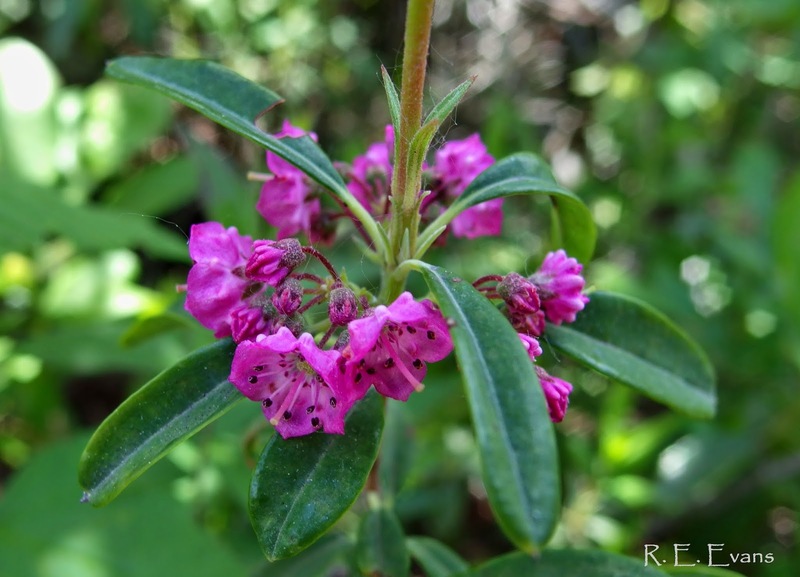 Its growth form was unusual in the bog, amidst the rounded mounds of the other dominant shrubby species. 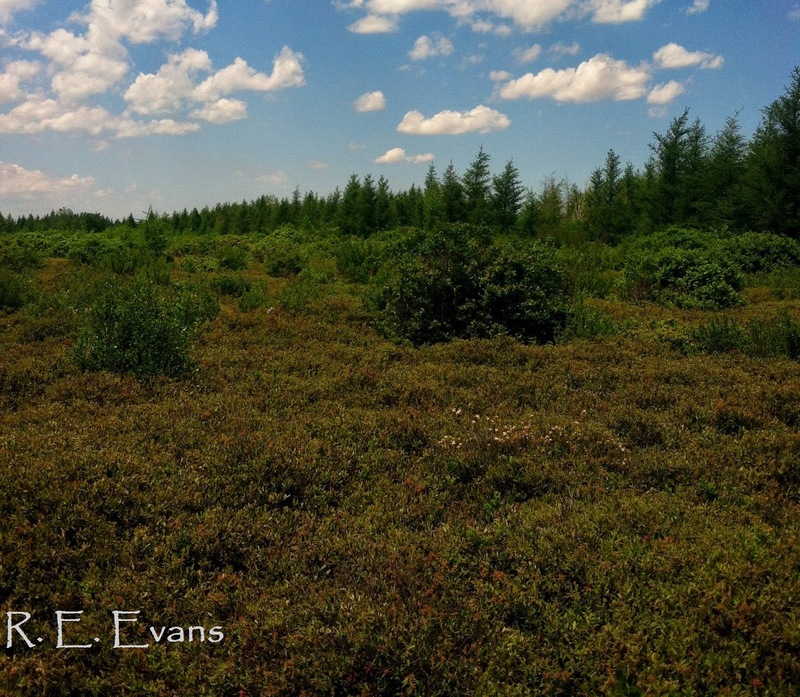 In the deeper sections of the bog, tamarack became taller and more abundant. A scene toward the interior (or at least the portion I was able to get into) of Minden Bog; Sheep Laurel in the foreground with Tamarck in the background. A single Bog Birch is emerging near the right background. 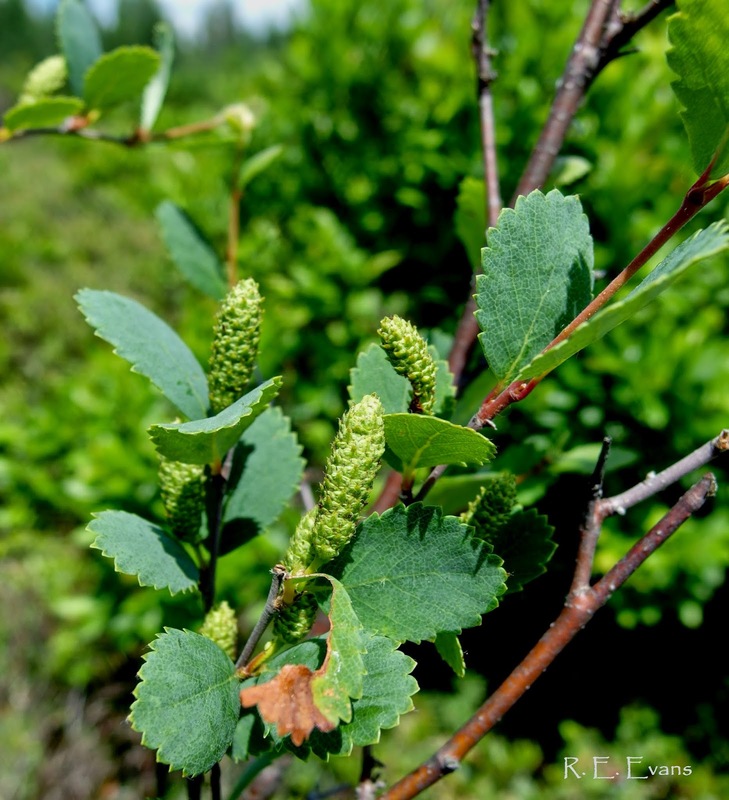 Bog Birch (Betula pumila) can be found across much of Canada and the northern U.S.
channelized, and parts of the surrounding area are now under cultivation. 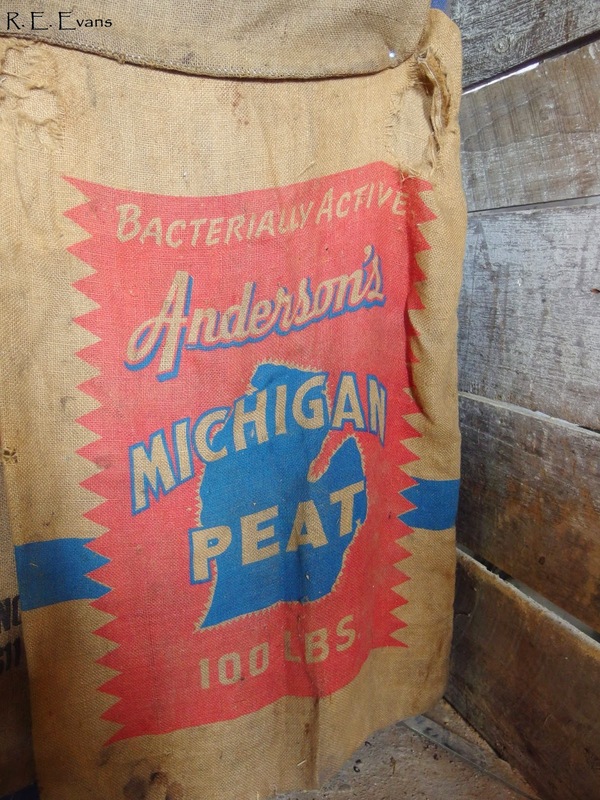 However, the core of the site escaped the fate of others in the region and has not been mined for its peat content. I felt lucky to be able to see this great remnant of natural habitat. Like most of the midwest, such places are few and far between these days. 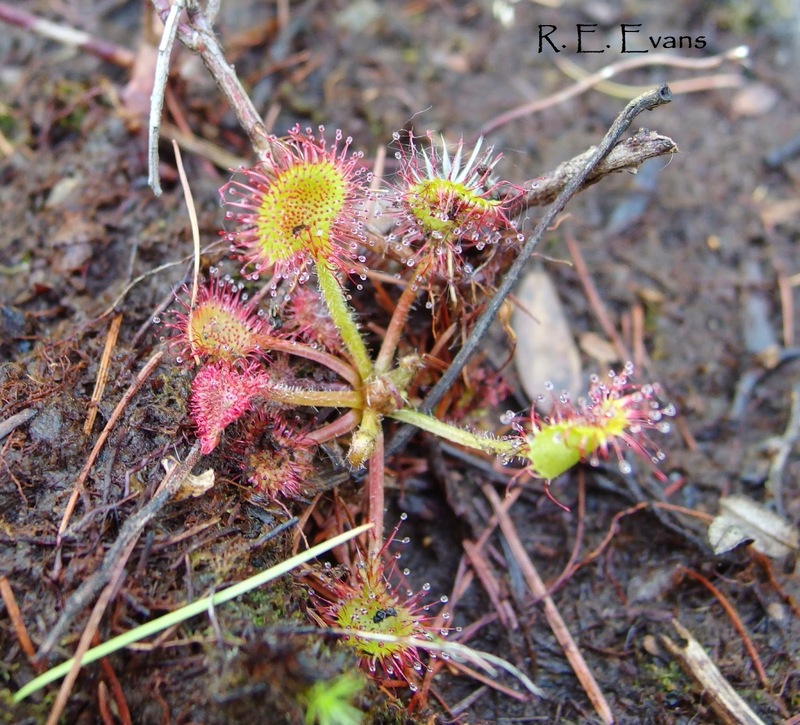 Finding Minden Bog was not easy (there were no signs or trail marker anywhere that I could find) but it was well worth the visit!